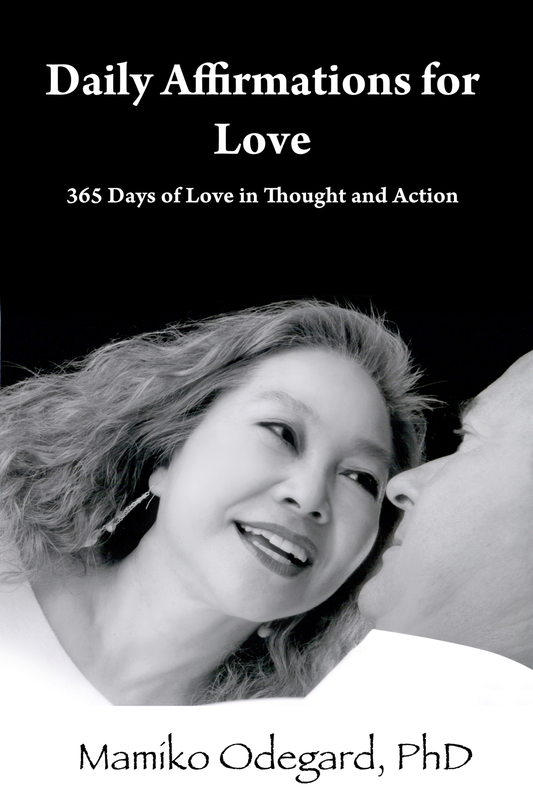 This book was inspired and written to express love and gratitude to my husband, Greg. As our anniversary approached, I wanted to give him a very personal present. I felt the ultimate gift would be a book expressing my many sentiments about him. I not only wanted to acknowledge and celebrate our relationship, but to thank him for being such an incredibly loving person. He has brought me complete happiness and affection – more than I ever imagined was possible. This is my way of openly proclaiming my love to my darling. Daily Affirmations for Love can be used daily to recognize, remember, and celebrate the love and warmth toward a special someone in your life. It is my hope that this book will be read together as a couple. These expressions of love through verbal communication and acts of kindness can be shared with lovers, parents, children, and friends. Dear readers, I hope that you can all experience the closeness, romance, passion, joys, peace, and dreams that are possible in all relationships. Although you will find yearlong meditations for each day, you may begin anytime or anywhere in the book. 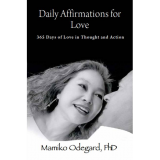 It is not a workbook but rather a collection of daily affirmations to promote love. It can be used to increase the awareness of the gifts and possibilities open to us all in every loving relationship. Whether you read it as a couple or individually, have fun doing the suggested activity for the day. Many of the activities can be modified to do with a partner or they can be done alone. Simply open to any page and begin. There are ideas for small and large actions, and changes in perspective that you can use daily to show your love. Thoughtful gestures and words can quickly enhance the dynamics of a relationship. A number of affirmations detail looking inward within ourselves. It is to emphasize the importance of starting with ourselves first. When we desire improvements in our relationships, we typically expect the other to change, thinking that our lives would be instantly transformed for the better. Unfortunately, this thinking is flawed, as it only encourages us to be manipulative, both subtly and outwardly - resulting in anger, resentment, and even more resistance to change by our loved ones. This book encompasses more than the lessons learned throughout our 38 plus years of marriage. I began to realize how the book captured a lifetime of skills developed in my careers as a psychologist and professional coach. It is also a chronicle of my own personal journey to self fulfillment. By promoting your own growth as well as offering communication and interpersonal strategies, I hope to empower each of you to create more personal happiness in a loving relationship. The work is derived from a heart of love and my knowledge as a therapist and coach. May your relationships continue to grow into healthier, more vibrant, loving, joyful ones, and you can become more closely connected with all who are dear to you. Most importantly, may you continue to grow in your own awareness of your feelings. You are unique and precious. May you continue to grow individually as you practice mindful loving toward yourself and others. After all, true love starts within you, my dearest reader. May you treasure your greatest gifts: you, and your ability to love.